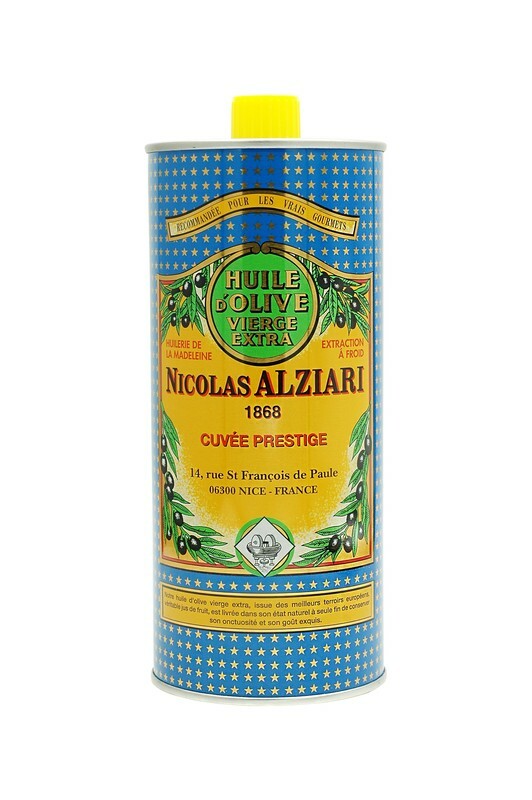 Since 1868, Nicolas Alziari has been producing "Grands Crus" of extra virgin olive oils from rigorous selections of unique varieties of fruits with incomparable flavors. Just like in the wine making process, Nicolas Alziari has been using a cold press method for over 100 years, that guarantees a pure, velvety, full-bodied oil, rich of all its nutritional and original qualities. In Provence, and all over the Mediterranean basin, olive oil is used to cook the most prestigious dishes. It can be utilized to season, cook or fry. Recommended for salads, fish, fresh pastas and meats.